My sister had some where to be Thanksgiving evening so the festivities ended earlier then normal. That meant we had time to start decorating Thursday night. The tree was put up and light added and we called it a night. The next morning I made a Rudolph themed breakfast before the decorating fun began. Done! Well, with the tree anyway. I keep the other decor in the living room simple. The true star of the season was added to the top of the entertainment stand. Santa pictures were displayed. I love seeing Megan through the years! Once the tree was up Chuck moved outside while I finished fluffing the nest. It looks wonderful in the dark. I enjoy sitting in the evening watching the lights twinkle and reflecting on the true meaning of Christmas. 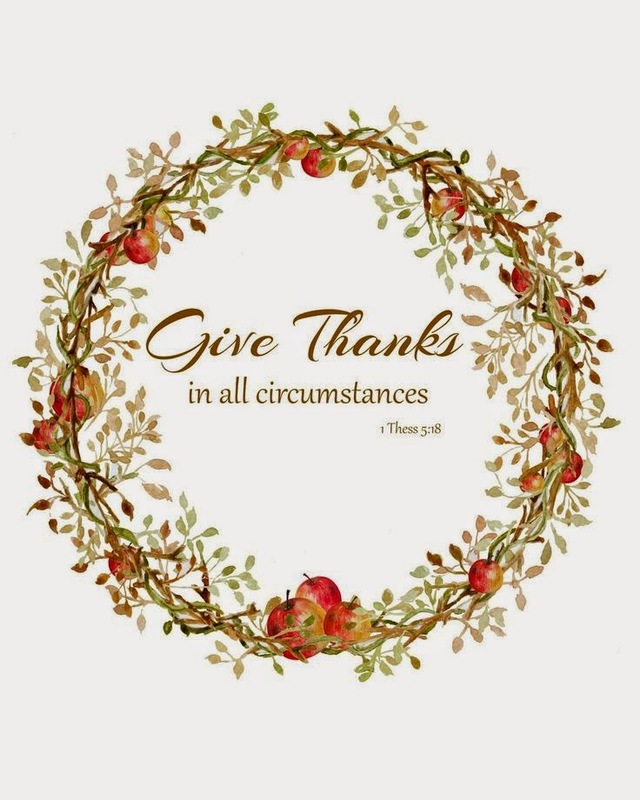 May you count your blessings and give thanks for them not only at Thanksgiving, but everyday. Wishing you a wonderful Thanksgiving! On their way to a father/daughter dance. I have been working on a project or two for Christmas gifts. I went to wake Megan up for school and found that our bookworm was busy reading. It makes me happy, happy that she has developed a love for reading. Abe showed up one morning with a pack of post its and a marker. He and Megan had a great time making me the post it holder! Sharing the adventures of Frog and Toad. We enjoyed the last little bit of fall with a night away with extended family. It was fun hanging out with our nieces Kayla and Lauren. Now I must wake up my family and get the day started. I have been up since 3:30 this morning! I must have sleep wrong as I woke up to an aching back. Lets hope this girl can make it through church without dozing off! It seems that the season of Fall was short lived this year. After some cool, almost cold, days we were able to get out and put some things to rest for the season. We cleaned out flower beds, put the back porch furniture and all the summertime nick knacks away. Just in the nick of time as that afternoon the wind changed and it has been getting colder by the day. So cold in fact that it seems winter has come early. Although it is a little early, in my opinion, it sure is pretty! Now my thoughts have turned to cozy things. Like yummy, filling meals that not only warm us but make my home smell good. The cold temperatures and snow make me want to hunker down and stay home. I have been busy cleaning. A wonderful deep clean that includes things like washing blinds. Oh how I have I love hate relationship with these things! My goal is to have a wonderfully clean home in time to deck the halls. I usually deep clean as I decorate, but I am shooting for a light dust and vacuum only this year. As I worked in the living room I boxed up tons of toys. I was tired of fussing with the boys to pick up. I am going with less is more. Guess what? They have only asked about one toy that I packed away! I may have scared Megan with my purging! I found this note on a stack of things in her room one morning. Ha! While all this is going on I have been playing some music to inspire me. While I don't want to rush through Thanksgiving I am aiming for stress free Christmas. Are you making plans to prepare for the Christmas season? About six years ago a neighbor of my parents put these tables out on the curb. Mom knew that I needed new tables and got them for me. I disliked the high gloss finish, but they had good bones, and met our needs. I liked that they are solid wood. It is really hard to find solid wood furniture unless you want to pay big bucks. While we shopped for a new sofa and chairs all we saw was pressed wood junk. They were in pretty good condition until they arrived here. Many years ago I watched my niece and nephew and while making lunch one day I turned around and saw that my niece had taken a toy fork and scratched the table top. Although I wasn't happy I knew that a makeover for these were on the to do list. I never imagined it would take so long for these to make it to the top of the list. That is just the way life goes. I spent several days sanding off the hidious varnish. Chuck took the tops off so I could easily stain them. I used four coats of cherry stain and then two coats of a satin varnish. The table bottoms were primed. The weather changed so I had to move the rest of the process into the garage. Boo! Two coats of antique white was applied. I then rubbed on some of the cherry stain to tone down the antique white paint. It makes a very subtle change that really doesn't show up in the picture. I love how light and fresh they look. "New" tables for $9.17. Not bad! I plan to let them sit in the garage until this weekend. I am going to clean the living room carpets before I bring them back in. I can't wait to get them back into my home! Once I get everything settled I will share another picture.